Remember! 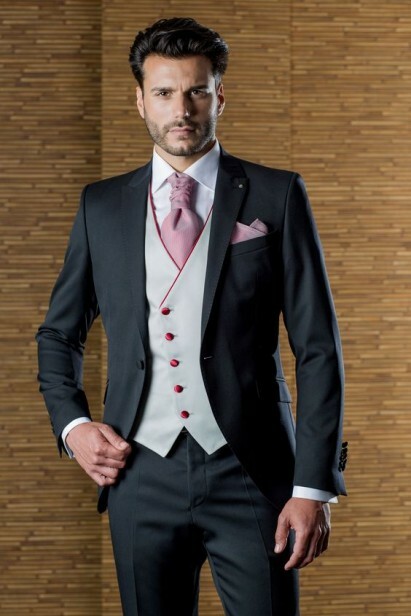 The right selection of walima dress for a man on your wedding can uplift your appearance. You are center of attention for all the people. 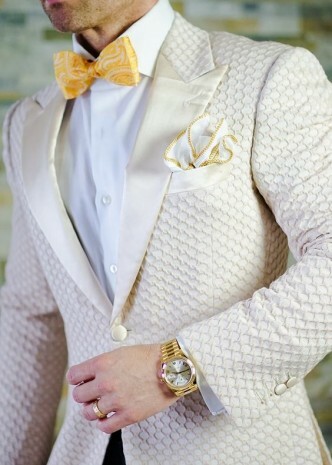 So, to look different, decent and extraordinary, it totally depends upon the best and right dress selection. This guide is going to help you in both solving yours confusion regarding walima dress selection and also on choosing a graceful dress that will make your personality stand out. 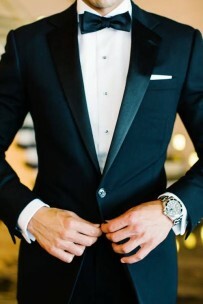 Since men, inquisitive nature drives their attention on choosing the best dress for their wedding ceremony. So they find it difficult which dress to chose for waleema function and on what basis? 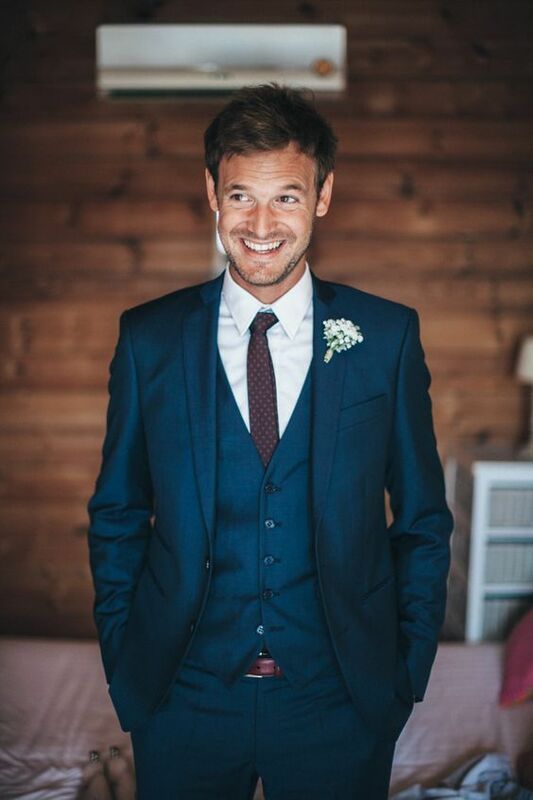 This is the biggest question that comes to the mind of every newlywed groom. Some men already have an idea in their mind so they take a little time in making a decision. The others find it a confusing job. Remember there are many factors on the basis of which you can make your decision. Have you finalized your Barat and mehndi day dresses? 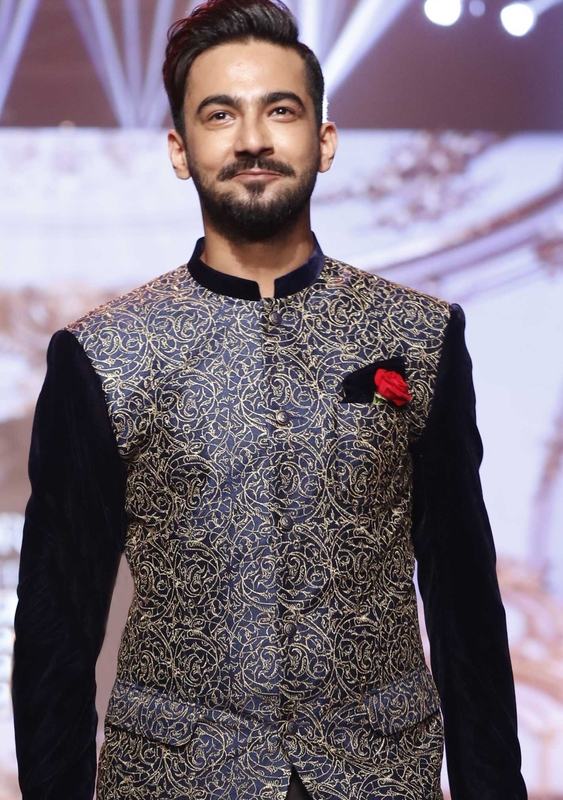 [Must Check] our Pakistani barat dresses for man and mehndi dress collection sifted by styleglow team. 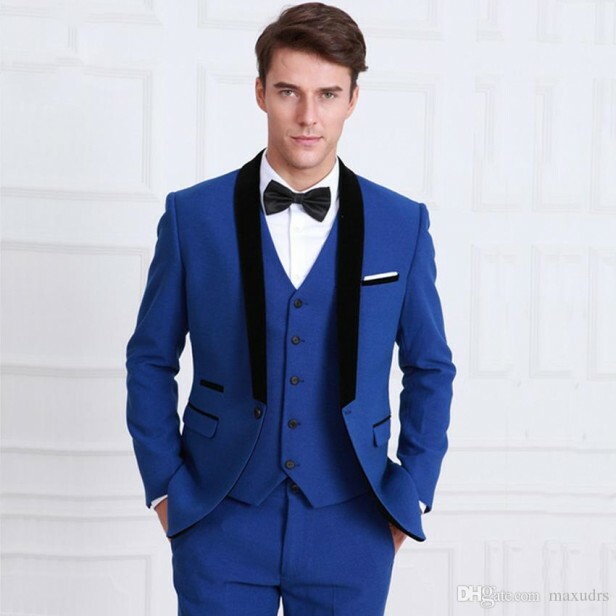 If the function is being held among the family members then Shalwar Kamiz, Pajamas and waistcoat are best choices according to trend and 2018. 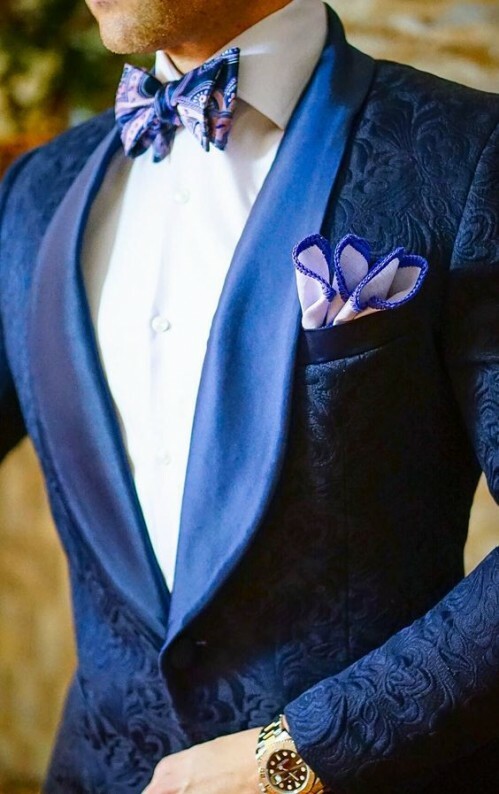 If the walima function is going to be hosted on a commercial level or in some modern culture, then pant coat and vest coat suits will be preferred. All that matters is the environment. So we can easily take our decision and rock in the party. Here we will share all possible alternatives in the form of a collection and then would be discussing them one by one. 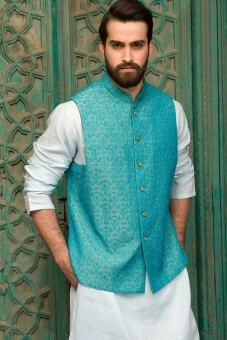 There are many top Pakistani brands for men like Amir adnan, fahad hussyain, Asim Jofa, Bonanza and Eden Robe. They are mostly the trendsetter brands that hold the market. 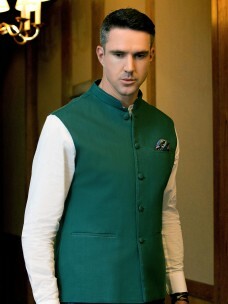 They are offering the latest waistcoat, kurtas pajamas and waistcoats. which can be worn on your waleema day. 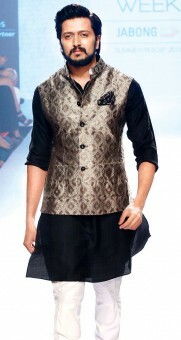 Have a look at our another kamzeez and waistcoat collection. 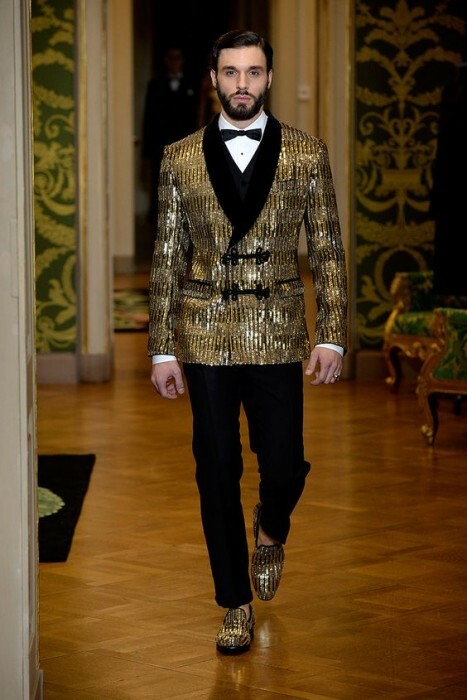 This is the finest collection that men can wear on their walima ceremony. It’s simple beautiful and elegant. 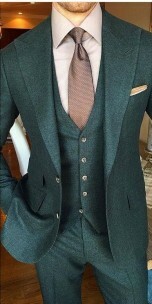 You may wear both fancy and simple style waistcoat depending upon your choice. 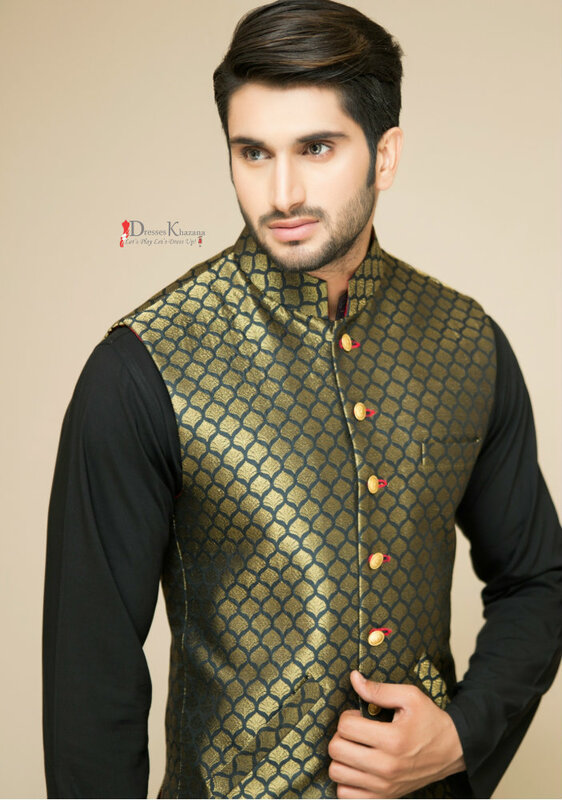 “Bonanza and Gul Ahmad are most famous men brands that design elegant yet modern wedding wear for men”. 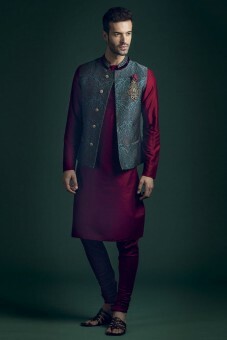 You may find the latest men barat dress collection here. Its no doubt a symbol of quality and trust. Your can also suggest the Latest bride dress collection to your wife to be to chose a matching theme. 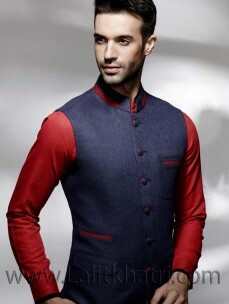 Modern grooms prefer to wear pant coat and vest coat on their barat and walima functions. 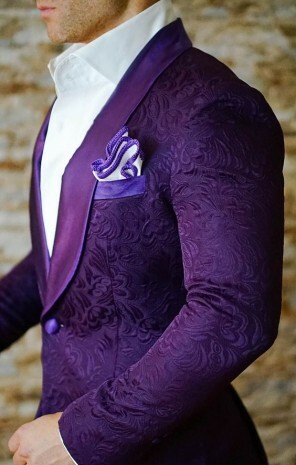 The color theme pant coat also depends on the time and venue where the function is being held. 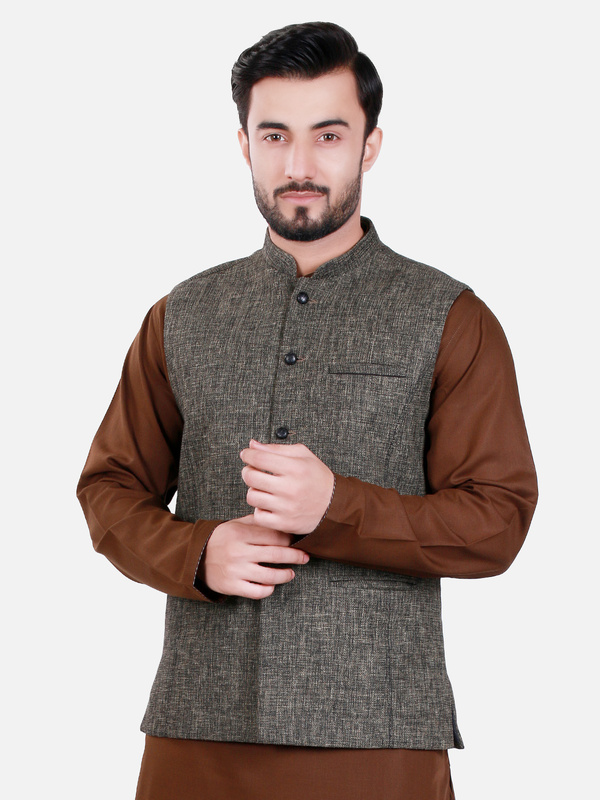 Black, Brown, Maroon, Blue and White pant coats are in trend nowadays. There might be many outfits that may make you look appealing. 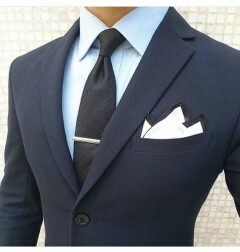 Fashion oriented men with a good dressing sense always prefer designer’s collection. 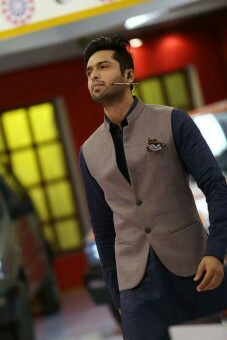 Look at lastest pant coat designs . It will give you more ideas what to select for your walima. 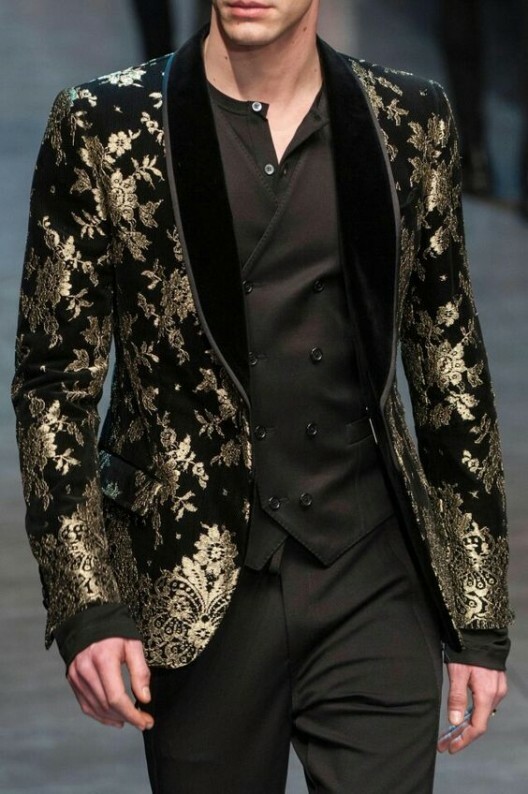 Dark color combination is best for night functions. 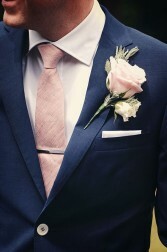 Blue pant coat with white shirt and pink or red tie is a handsome combination. First of all its graceful and it will increase the beauty of their appearance and personality. A perfect couple might be imagined in this dress. 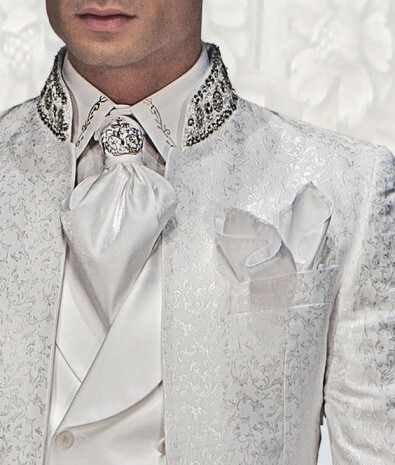 Bride with white embroidery dress with good jewelry combination and groom with blue pant may look appealing. 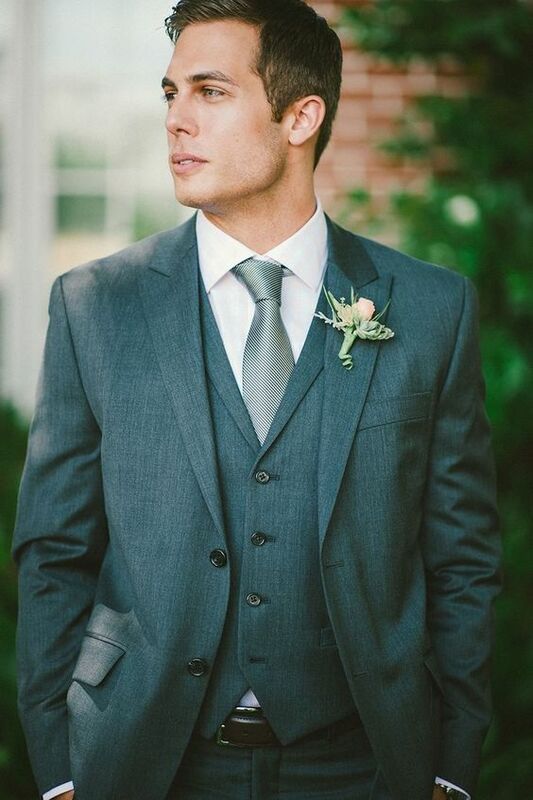 The blue, brown, black, greenish, grey and white color combinations as walima dress are always best for men. You have many choices, multiple designs, and graceful combinations. Choose one of them according to your environment and needs.A good dressing sense is mandatory for being considered a good professional as well as a gentleman. 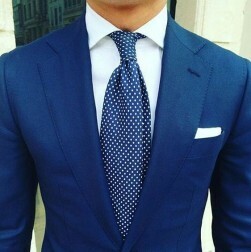 Great tie combination is so important that it may change your appearance thoroughly. We will suggest you do a little research about the latest brands in the market. 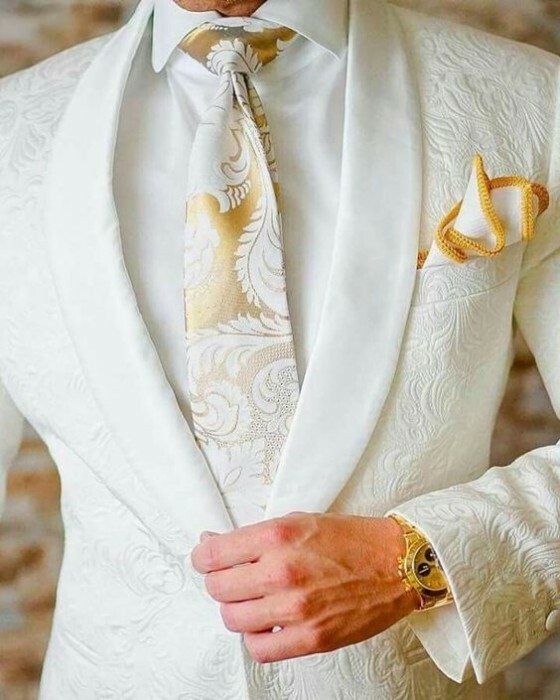 The branded waistcoats, pajamas, kurtas, kullas or turbans, kurta or sherwani, and pant coats would be more likely to be preferable for man walima day dresses. Since we have to keep ourselves aware of the fact that either any brand that we have been using is outdated or not. For your valuable suggestions and feedback, you may leave your comment below.